Hill and Regan Parker understand that a farm and home is likely the greatest investment you will ever make, and we don’t take that lightly. With the help of horse farm and real estate experts, we can also help make this investment the most lucrative. Give yourself the opportunity to be successful by working with an experienced professional. Horse farms and land hit the Kentucky real estate market everyday. One of our experienced agents will be searching out new listings regularly, to ensure you have access before they’re made public. And with our tight-knit network, we’ll be able to make sure you walk away with an excellent deal on the property of your dreams. We’ll be able to save you valuable time by only showing you farms that meet your needs and budget. As you view and compare your favorite properties, we’ll be sure to give you the most important information about the land, soil, zoning issues and nearby plans for development. We understand that real estate transactions are complex and can often include a difficult negotiation process. We are here to represent you and get you the farm of your dreams for the best possible price. Your agent will be there for you from consult to closing and will exceed your highest expectations. From financing to paperwork, we’ve got you covered and will deliver you the full-service package. And most importantly, we’ll make sure you know and understand exactly what you’re signing. Working with a Turftown Properties agent guarantees a solid and lucrative investment. We’ll provide you with our professional assurance every step of the way, ensuring you’re home purchase is the best decision you’ll make. 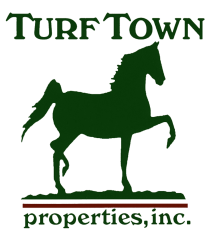 Contact Turftown Properties anytime to learn more about the local home buying process.